Enjoy a Flying Adventure, Soaring Up to the Sky! Fly between the skyscrapers and over mountains! LET GO of ALL your limitations and enjoy the FREEDOM of FLIGHT as EARLY as TONIGHT! FEEL the wind in your face, TOUCH the clouds as you glide through them, FLY to the top of the Statue of Liberty or the Great Pyramids – you control EVERYTHING that you do! SEE things like you've NEVER seen them BEFORE! SPREAD your WINGS and LITERALLY FLY! Don't let a little thing like sleep stop you from enjoying yourself. Let the power of Lucid Dreaming fly you around the world TONIGHT! 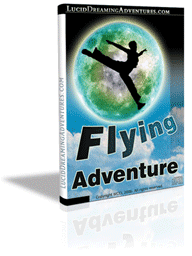 Grab the Flying Adventure CD TODAY and BRING YOUR DREAMS TO LIFE! Interested? 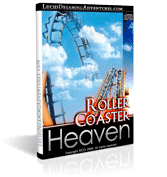 Purchase YOUR copy of the Flying Adventure CD today for JUST $28.95.